Awesome chibi chunky Spider-Man magnet! 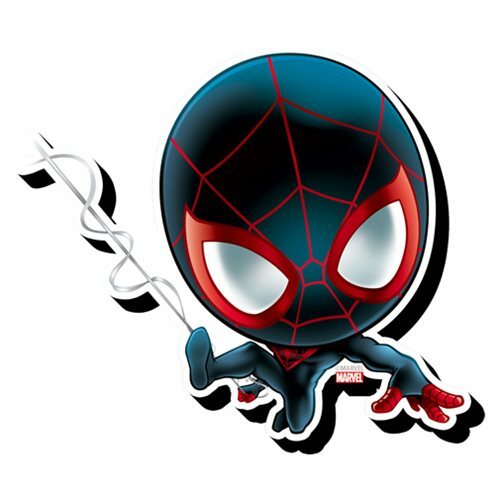 Fans of Miles Morales as the famed web-slinger will want this cool Spider-Man Miles Morales Chibi Funky Chunky Magnet. But this isn't your run-of-the-mill magnet. It's wooden, it's laser die-cut, and it's chunky! Ages 13 and up.